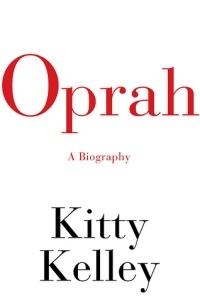 An unauthorized Kitty Kelley biography of Oprah Winfrey hits stores April 13! Kelley dishes on Oprah’s relationships and reveals several shockers to fans of the beloved celebrity including an affair with John Tesh. Oprah can sell millions of books simply by giving her stamp of approval. But there’s one book Oprah is highly unlikely to recommend or pick for her famous book club: A controversial new unauthorized Oprah tell-all from famed celebrity profiler Kitty Kelley. Oprah: A Biography is in stores April 13. Kelley promised that Oprah: A Biography is full of juicy details and secrets about the TV mega-mogul. The author appeared on The Today Show to talk about the hundreds of interviews she did do for the book, although she did not speak to Oprah herself (though she tried). Kelley said she reviewed footage of every interview Oprah has ever given. She also talked to scores of sources close to Oprah, including a revealing interview with Vernon Winfrey — the man who raised Oprah. Kelley, who is known for her controversial unauthorized biographies including Elizabeth Taylor, Frank Sinatra and Jacqueline Kennedy Onassis, said she interviewed over 850 sources. The book is already stirring up controversy and supposedly reveals numerous secrets about Oprah and her family — including details on her relationship with her mother. The book also sheds light on Oprah’s romantic life — including the revelation that Oprah and former Entertainment Tonight host John Tesh had a live-in relationship when they worked together in local TV in Nashville in the 1970s. According to Kelley, Tesh ended things with Oprah because of social pressures inflicted on interracial couples during that time. Kelley said on The Today Show that many talk show hosts including Barbara Walters, Larry King and David Letterman have refused to bring her on their shows to talk about her new book because they fear backlash from Oprah. So far, Oprah has declined to comment on Kelley’s book.